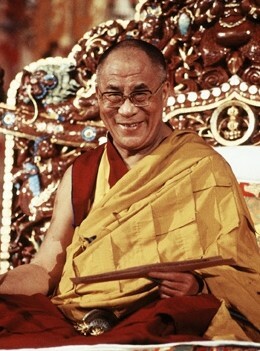 Tenzin Gyatso—to you we pray! The one who holds the name of an incarnation from Lumorap, Pema Lodrö Gyaltsen, had an experience of recognizing the lama, and gave this to Gelek Namgyal in the hidden land of Sikkim in the sacred place of Pemayangtse, on the auspicious date of the 25th day of the second month, Fire Dog year (23rd April 2006). This page was last edited on 6 July 2015, at 12:14.